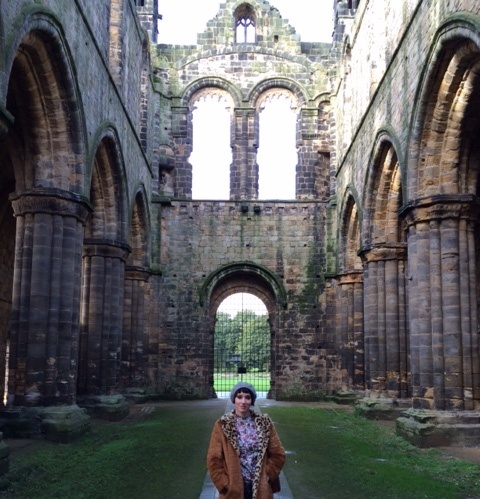 This Halloween we went to Yorkshire’s Kirkstall Abbey. We had seen they were hosting Yorkshire’s Gothic Film Festival so naturally had to go along and see what this was all about! We visited the abbey in the daytime as we wanted to know more about the History. A stunning example of medieval Cistercian architecture; visitors to Yorksire can go and get out into some parkland and take a peek into some of the Yorkshire’s history by walking round the monestery ruins. It is a silent and secluded spot once off the main road, so even in the day it can send a shiver down the spine.. A bird suddenly startled, flying out of the crumbled old stonework and the wind through the trees creates an eerie ambience; the sort that makes the hair on your neck stand up if you stand alone long enough.. But at night, under creative genius of the Gothic Film festival production, the Abbey looked truly spectacular and before that film had begun created a Halloween event that only a destination like the abbey could acheive. Shadows were lengthend by strategicly placed blue and green lights to stunning effect. Children’s soft voices played from dark corners and skeletons swung from branches. It was all in the name of entertainment of course. Yet neither of us wanted to stand alone for too long. Just in case.. 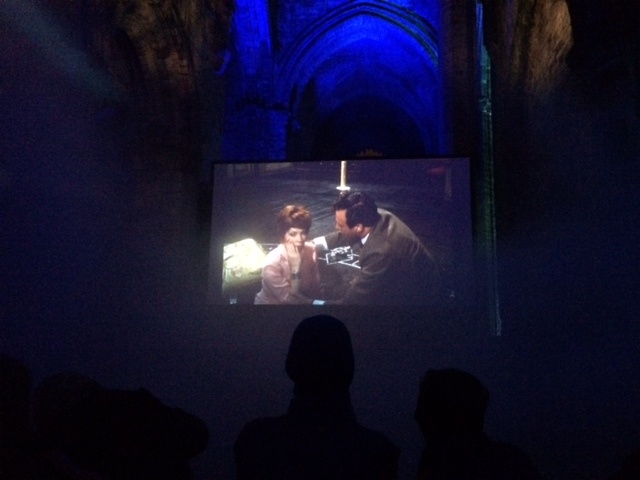 The Gothic Film festival was an event at the abbey itself and showcased some forgotten gothic film favourites over the course of Halloween weekend. We went to see The Devil Rides Out starring Christopher Lee (Saruman in Lord of the Rings). Hammer Films are thought to be the origins of British horror. The company founded in 1934, and is now one of the oldest British film production companies. Hammer films are synonymous with gothic filming, a touch of black comedy and cheesy but in keeping with the times- obligatory clunky piano music and piercing screams. All very tongue in cheek, by today’s standards and not scary at all – but lots of fun to watch! Kirkstall Abbey run events every Halloween. Thoroughly recommended! Great atmospheric post and some brilliant pictures. Sounded like a lot of fun.